OLI AT CTT BAUMA 2019 – Find us at Hall: 14, Stand: 111. Bauma CTT RUSSIA – Russia’s leading construction show at a glance. 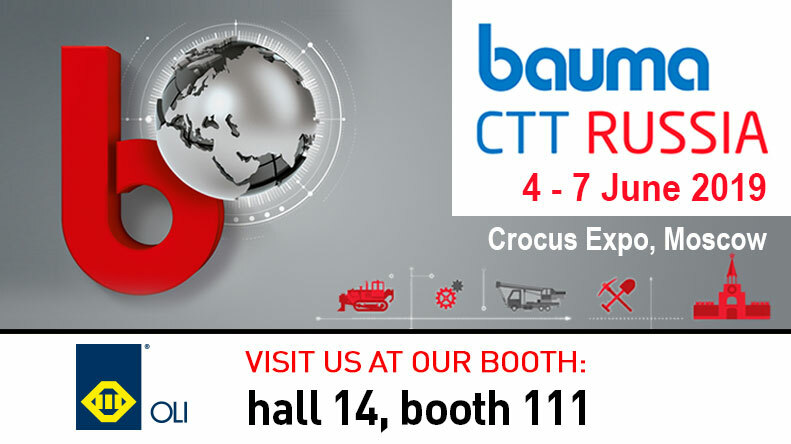 On 4 – 7 June 2019 bauma CTT RUSSIA takes place for the 20th time.The event is the largest exhibition of the construction industry in Russia and the most important communication platform in Russia, CIS and Eastern Europe.